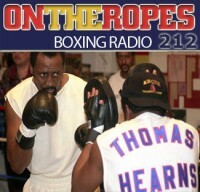 “On the Ropes” Boxing Radio returns this week with host Jenna J to breakdown all the latest fights and fight news in boxing. 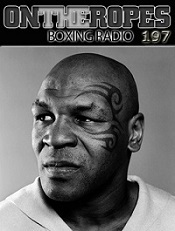 In this episode I will be recapping Friday night’s Premier Boxing Champions triple header card which saw two prospects moving closer to title contention and featured the return of Adrien ‘The Problem’ Broner as he took on TMT fighter, Ashley ‘Treasure’ Theophane. Additionally, I will be previewing Saturday night’s HBO pay-per-view event that showcase the rubber match between eight division world champion, Manny Pacquiao and ‘Desert Storm’ Timothy Bradley. Just click on the audio player to listen to the show! 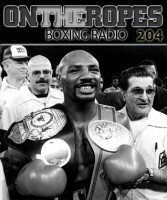 The first guest on this show is former super middleweight champion, Andre Ward to talk about his most recent victory over Sullivan Barrera. Ward discusses the dominant win over his toughest light heavyweight opponent and talks about adjusting to the new weight class. Andre also gives his thoughts on his future plans and how soon he expects to be challenging Sergey Kovalev for the light heavyweight crown. 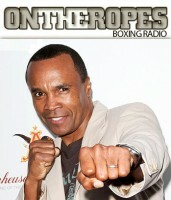 ‘S.O.G.’ also talks about Gennady Golovkin and the possibility of him meeting ‘GGG’ in the ring. Lastly, Ward gives his thoughts on Amir Khan’s upcoming middleweight title clash with Saul ‘Canelo’ Alvarez and how he expects the fight to play out. 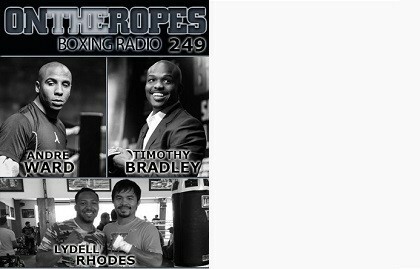 The second guest in this installment of the show is light welterweight prospect, Lydell Rhodes. Lydell talks about being in camp with Manny Pacquiao for the second time as Pacquiao gets set to face off with Tim Bradley. Rhodes also talks about his goals for his own career and what he hopes to accomplish in the remainder of 2016. In conclusion, Lydell breaks down Pacquiao vs Bradley III and gives his official prediction for the fight. The main guest on this show is none other than Timothy ‘Desert Storm’ Bradley, who is days away from a big title clash with Manny Pacquiao. Tim gives an update on the final stretch of his training camp and also talks about training under Teddy Atlas for the second consecutive fight. Bradley also touches on the pre fight trash talk between Freddie Roach and Teddy Atlas and how that will impact the bout. Lastly, ‘Desert Storm’ tells the fans what they can expect to see this Saturday night when he and Pacquiao conclude their trilogy rivalry. 1 Response to "Timothy Bradley on Pacquiao rematch and if he can score a knockout. Andre Ward discusses Kovalev bout. 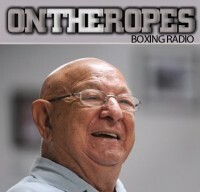 Lydell Rhodes on his future – OTR #249"
Bradley is beyond focused. Pacquiao is in for a surprise this weekend it seems.